Why Is This Commerce Department Agency Charging Other Agencies for Free Reports? The 64-year-old National Technical Information Service has come under fire from senators and a congressional watchdog for charging other agencies for old reports that in many cases are available elsewhere for free. The little-known Commerce Department unit is a repository of current and decades-old scientific, technological, engineering and business research reports available by subscription to agencies or individuals. In a report released Wednesday, the Government Accountability Office said that costs for NTIS’s products, from fiscal year 2001 through 2011, exceeded revenue for 10 of the 11 years. The agency was financially sustained during this period by services it offered to other federal agencies, such as distribution and order fulfillment and various Web-based services,” GAO wrote. Auditors estimated that 74 percent of the reports added to NTIS’s collection from fiscal year 1990 through 2011 “were available elsewhere, and 95 percent of these were available for free. This calls into question the viability and appropriateness of NTIS’s fee-based model for disseminating the reports it collects,” GAO said. 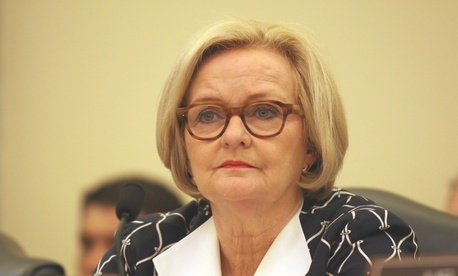 NTIS was blasted on Wednesday by Sen. Claire McCaskill, D-Mo., and others at a Senate Homeland Security and Governmental Affairs contracting subcommittee hearing as increasingly irrelevant in the Internet age. Lawmakers said the agency allows private companies to provide services for the federal government for payment, “apparently acting as a pass-through to avoid the scrutiny and rules that apply to formal federal contracts. These services are also already available to federal agencies through individual contracts or the General Services Administration,” McCaskill said. McCaskill joined with Coburn in sponsoring S 2206, the Let Me Google That For You Act, which would eliminate NTIS. On a related track, both houses of Congress are considering bills to reduce the number of mandatory agency reports. He said NTIS is not opposed to changes in its fee-based model.